MOST, if not all, business entities tend to view their customer service activities as one of the most important aspects of dealing with customers. They also believe that through excellent customer service, they will establish, maintain and strengthen their relevant market shares. It is also probably fair to say that many companies would not put their warehouse or storage facilities at the top of the list of contributing factors to boost customer service levels. I believe, however, that warehouse facilities can play a very significant role in promoting and optimising a company’s customer service function. After all, the warehouse represents an important link between the company’s production site(s) and its numerous customers or distributors. Furthermore, it is where the supply chain holds or stores its various products and raw materials. One of the main roles or functions of the warehouse is to achieve an optimum position in minimising the total cost of its operation while providing the expected service level for the business, that is, the service fulfils or surpasses customers’ requirements. It is a business’s obligation and responsibility to have the right product in an excellent condition, at the right place and at the right time when the customer requires it. 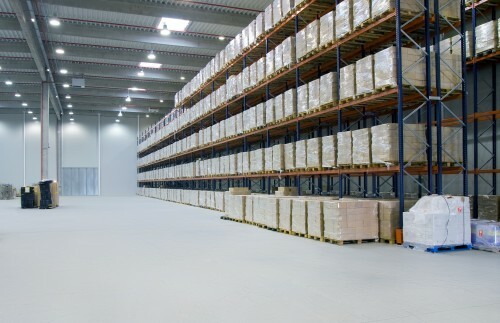 If its warehouse cannot meet to the fullest this imperative requirement, then it does not add value to the product/company, and customers or distributors will seek better service elsewhere. One of several ways to improve customer service performance is to fully adopt and apply the warehouse commitment to customers. Retaining a stock-keeping unit (SKU) in the warehouse is a commitment to have that product available in reasonable quantity when it is going to be requested by the customer or by the distributor. This can be achieved by applying effective inventory control, which involves the proper management of the available inventory already kept in the warehouse. The warehouse commitment also means knowing exactly what SKUs are available, how much of each one (quantity-wise) is in stock and, most important of all, where they are located within the warehouse. Knowing what exactly one has got in the warehouse is crucial to avoid stocking the wrong or unnecessary items or units and subsequently saving valuable storage space for receiving and storing new products. Finished goods you intend to stock and sell, or raw and packing (R&P) materials you intend to use for further assembly or final production. • Distributors’ purchased but uncollected goods (sometimes such goods are left on purpose owing to insufficient storage space in the distributors’ own stores). The less stuff a warehouse is loaded with, the easier and more optimally it is to perform and achieve effective inventory control as well as to successfully fulfil its service level commitment to its customers. • Critical goods (such as pharmaceuticals and oil & gas equipment) — these require the highest service commitment for prompt supply or delivery. • Non-critical goods (such as fast moving consumer goods or FMCG) — these require a standard level of commitment owing to frequent and constant demand. • Scheduled delivery goods (such as furniture, white and brown goods like fridges, computers and electric kettles), which necessitate a more flexible supply and delivery time. The key point I am making is that customer service excellence is not a task performed exclusively by sales and marketing personnel or the customer service department only. In today’s fast-paced and very competitive business environment, even the warehouse operation and its valuable service to various customers could and should be perceived as an added-value function for the company. It should be regarded as a significant contributor to higher customer satisfaction and retention, which will eventually lead to the much desired customer loyalty. Next Monday: What your storekeeper won’t tell you.